In an “out of court” settlement, the defendant or defendant’s insurance company offers a settlement to the plaintiff in exchange for a release of liability. There are advantages and disadvantages of settling a case before trial. An experienced personal injury attorney can evaluate your case to determine the option with the best outcome. Saves Time : Settling a case before trial is quicker. Often, trials begin a year after the initial claim is filed. The whole process may take up to three years or even longer, depending on the complexity of the case and the jurisdiction. Reduced stress : Settling a personal injury case out of court is less stressful and burdensome. 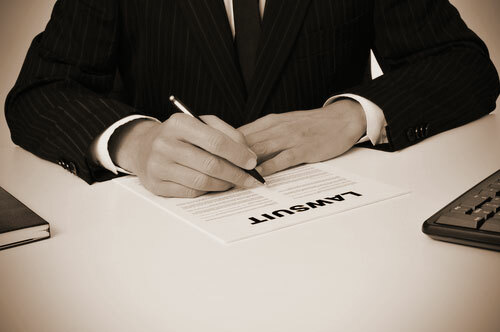 An offer is negotiated, the defendant makes the settlement and the case is resolved. On the other hand, trials can be stressful for all the parties involved. It requires several court appearances, as well as being subjected to examination and cross-examination. In addition, a cross-examiner attempts to undermine a person’s credibility in public. Privacy : In a settlement, the details are kept confidential, unlike a trial where all the case details become public record. Less expensive : Trials can be very costly. The attorney fees are high when the case goes to trial compared to settling out of court. Besides high attorney fees, expenses can increase considerably after paying expert witnesses, court costs, administrative fees, travel, etc. Predictability : An experienced lawyer can predict the outcome of a settlement better than jury decisions. Less compensation : The monetary award offered in a settlement may be much lesser than a court trial. However, the value of the settlement must be weighed against the risk of going to court as well as the increased costs. Punitive damages : Oftentimes, out of court settlements do not cover punitive damages, such as emotional suffering. Experienced personal injury attorney Robert P. Ianelli understands the pros and cons of settling your case out of court. We can advise you on the best way to proceed with your claim.